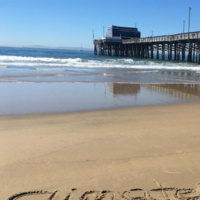 All are welcome to join Climatepedia for a beach cleanup with OC Coastkeeper at Huntington State Beach! We encourage carpools and will provide rides from UCI upon request. Meet us at the beach at Tower #2 at 9am. Parking is free for all volunteers. Climatepedia will have a picnic after the cleanup from 11-12 pm. Register and fill out your waivers here: https://docs.google.com/forms/d/e/1FAIpQLScLwUh1Zv3o0LywRI_osomcnFvYEjJzgIdRyLMwyD7Xx27n1A/viewform. Email gslum@uci.edu with any questions!